December 11 will see mining dependents from Goa protest at Jantar Mantar in New Delhi to demand that mining operations be allowed to resume and mining leases be extended up to 2037. The protest will be led by Goa Mining People’s Front (GMPF), a representational body fighting for the mining dependants in Goa. They will stage a dharna for the first three days of the upcoming winter session. It all started when the Supreme Court, on February 7, rapped the state for failing to follow “due process” and quashed 88 mining leases, bringing to a halt iron ore excavation and transportation in the belt. This came as a blow to the mining dependants. The GMPF president Puti Gaonkar and other members have made last-ditch efforts by meeting Goan Parliamentarians at the Centre to press for resumption of mining in the state, but this has not fetched them any positive results. “The file seeking amendment of mining laws has not moved,” says an exasperated Gaonkar, who visited the Capital three times recently to pursue the matter. The mining dependants now want that the Mines and Minerals (Development and Regulation) Act and Goa, Daman and Diu Mining Concessions (Abolition and Declaration of Mining leases Act, 1987) be amended to meet their demands. The GMPF has also decided to approach Bharatiya Janata Party (BJP) legislators at their homes to demand wages even as the state government on December 3 issued a notification extending the debt relief scheme for mining-affected borrowers of financial institutions up to March 31, 2019. Speaker of the Goa Legislative Assembly Pramod Sawant said the BJP is not trying to resolve the mining issue with an eye on the ensuing Lok Sabha elections, but it will resolve the matter with an ordinance. This is when the state's tree cover reduced significantly due to mining. The India State of Forest Report 2017, reiterated this by saying, “Forest cover within the recorded forest area has decreased by nine square km (900 ha) due to mining and other developmental activities in two years from its 2015 assessment." A complaint filed by the Goa Foundation, a non-profit, to the Goa Lokayukta, regarding illegal renewal of 88 mining leases. The Lokayukta asked former Chief Minister Laxmikant Parsekar, ex-mines secretary Pawan Kumar Sain, and director of mines and geology Prasanna Acharya to file replies on the matter by May 7. In September, after conducting a preliminary inquiry, Lokayukta PK Misra ruled that sufficient grounds existed to proceed with a more detailed investigation. The Goa Foundation’s complaint also alleged that Parsekar and the two others had, in "flagrant abuse of power and conspiracy”, given illegal renewals of mining leases “to benefit private persons”. It said the renewals had been “wilfully made in violation of the provisions of The Mines and Minerals (Development and Regulation) Act and the SC judgement”. The Supreme Court’s February 7 order was based on the fact that the timing of renewal of the leases was considered an affront to the rule of law. This is because the state government had renewed the leases barely a week before the Centre brought out the Mines and Minerals (Development and Regulation) Amendment Ordinance on January 12, 2015, which was later replaced by the law passed by Parliament. Quashing the renewal, the apex court allowed them to carry out mining activities till March 16. After which they would have had to apply for fresh leases on obtaining environmental clearances. 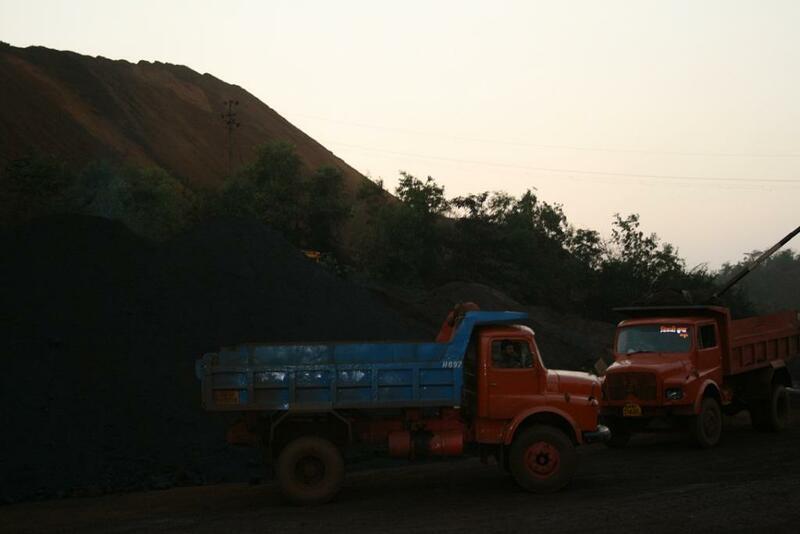 Immediately after the SC order, the Goa Mineral Ore Exporters' Association (GMOEA) wrote to the CM saying stopping iron ore mining in Goa will impact revenues worth Rs 34 billion. The loss of direct and indirect employment will hurt 200,000 people, it added. The ban also triggered an increase of non-performing assets (NPA) for banks as entities in the mining machinery, trucks etc, suddenly lost earnings. In July 2018, Goa’s Chief Minister Manohar Parikkar informed the Goa Legislative Assembly, the component of revenues earned by the mining sector in Goa's GDP had fallen drastically from 18 per cent before the ban in 2012 to barely five per cent in 2014-15 when mining was resumed. Putting a stop to mining damaged not just revenue and employment prospects but also investor confidence which inadvertently affected Goa's economy. Almost 10 months later, with the Centre making absolutely no move to initiate auctioning of the mining leases or push the ordinance to initiate mining either, Goa’s mining dependants think the only option they are left with is to hit the streets. Goa: can it strike a balance between environment and development?